Kim Kardashian's Ring, Does She Keep it? 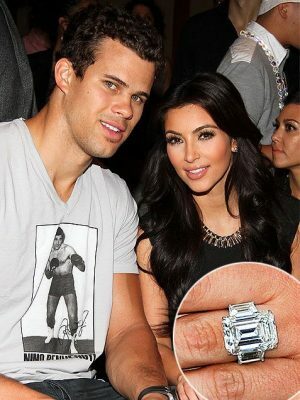 Kim Kardashian is splitting up with her new husband, NBA basketball player, Kris Humphries. Question: Does she give him back the engagement ring? This opinionated Santa Barbara Jeweler has something to say about this. 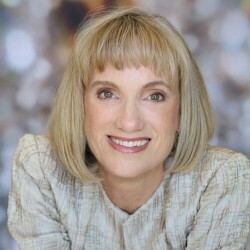 I listened interestedly to KLOS radio where everyone had an opinion of the validity or publicity stunt-ness of Kim and Kris' marriage and what should happen to Kim's $2,000,000 wedding ring. One lawyer said if Kim Kardashian's ring is worth over $25,000, in the state of California it's community property. Really? That's so mercenary. Is Any Wife Obligated to Return an Engagement Ring After a Divorce? In my opinion if you give something to somebody, it’s theirs, plain and simple. I’m not a lawyer and I’m not pretending to be one but…I don’t care if it’s a stick of gum, a toaster, or twenty million dollar ring. It doesn’t matter how long the person’s been in possession of the gift, either. A day, a month, a year…? It doesn’t matter. A gift is a gift. Is Their Richness, Her Beauty and the Shortness of Marriage a Game Changer? There’s a tendency here to want to change the rules of the game because of the worth of the ring. Kim Kardashian is a millionaire. If her husband isn’t, he’s close. NBA players get paid very well. Should this make a difference? I say no, it shouldn’t. Paupers, middle class, filthy rich? It doesn’t matter. A gift is a gift. Her mom, Kris Jenner, says she should – and will – keep it because“it's a gift” and you shouldn't ask to have gifts returned. As it turns out, Kim planned ahead and actually included a clause in the prenup she and Kris signed referring strictly to the ring, TMZ reports. 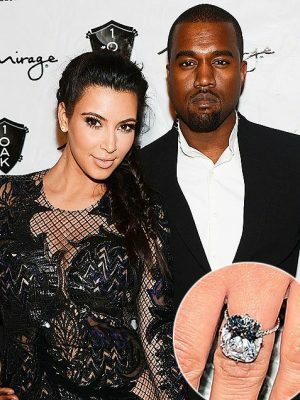 “Sources close to the former couple tell us... it was Kris who originally bought the 20.5 carat diamond stunner and Kim loved the ring so much, she included a clause in the pre-nup which allows her buy the ring from Kris for the original purchase price in the case of a divorce,” the e-zine has learned. “Ironically, without a special clause in the prenup, Kim would have been the proud owner outright, because once the became man and wife, the ring would have been Kim's,” TMZ further says. According the London Daily Mail, Chris Humphries won the disputed wedding ring in his June 2012 divorce settlement from Kim Kardashian. Then in September a ring looking identical to Kim Kardashian's ring, designed by the same Lorraine Schwartz who designed their ring originally, showed up in a Christie's Auction catalog. The seller was not specified. He was merely referred to as "a gentleman." Hmmmm. What a coinkydink! Ya think? E0nline says the 2 million dollar wedding ring is expected to sell for between $300,000 and $500,000. It'd sell for more if it was officially Kim Kardashian's wedding ring, what with all the heavy breathing and fascination with her beautiful life. But I'm sure when he got custody of the, much wanted by Kim, ring, he had to agree to be anonymous if he sold it. My money is on it being her ring. What do you think? A ring looking identical to Kim Kardashian's ring, sold by "a gentleman" sold at a Christie's Auction for $620,000. Or $749,000 with Christie's commission tacked on. Methinks that the buyer figured it was Kim's ring. I'd agree. I just read that Kris intends to give the proceeds to charity. Very classy! I have to disagree with you. He gave her that ring as a symbol of love and commitment, somthing she didnt even try to work on. As beautiful as that ring is, I woulddo 1 of 2 things, give it back to him., OR as him if they could sell it and donate ALL $$ to a worthy charity. I would hate to look at that ring daily and be reminded that the whole marraige was a sham! Besides, she can afford tto buy $75,000.00 pair of diamond earrings, she doesn’t need the ring. Great to see you weigh in! An engagement ring is a symbol of a promise to marry. If the intended bride breaks off the engagement, she should return the ring. If the intended groom breaks off the engagement, too bad! 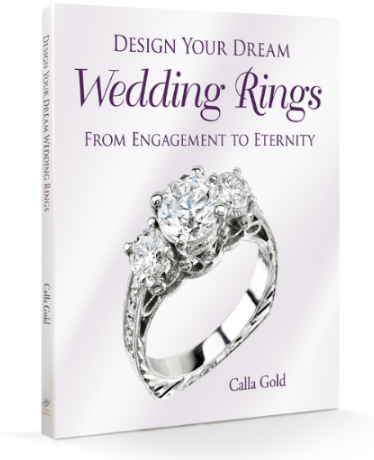 Once the promised has been fulfilled, i.e., the marriage takes place, the ring belongs to the bride! If it was all a sham, as many believe the Kardashian/Humphreys marriage was, Mr. Humphreys should have spent less money (or the jeweler should have been less generous with his publicity gift!). I don’t know. I haven’t really followed this at all, just what I’ve read on the front of magazines. They got married, though. It’s not like she called it off at the alter, in which case the ring should definitely be returned. I’m leaning towards she should keep it, but in the spirit of wearing it and not warehousing it, she should turn it into something spectacular. I doubt she’d want to wear the ring as is. Personally – I think it is a lesson learned…albeit an expensive lesson! Kim seems to want to brush everything under the rug and pretend the last 2.5 months didn’t happen so I wonder if she will leave the ring intact. I see a re-design opportunity Calla!!! Otherwise she will get tons of crap every time she wears it. You know, I agree that a gift is a gift. She could always wear it on her right hand. Tough luck to Kris, but he probably can afford it. Better yet, spend $25000 on some help to put the relationship back together! Why not?